Cookies help to make advertising more effective. Without cookies, it’s harder for an advertiser to reach its audience, or to know how many ads were shown and how many clicks they received. 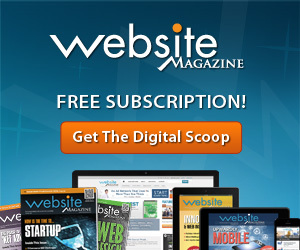 These may be set from a few different domains, including google.com, doubleclick.net, invitemedia.com, admeld.com, googlesyndication.com, or googleadservices.com. Some of our advertising products enable our partners to use other services in conjunction with ours (like an ad measurement and reporting service), and these services may send their own cookies to your browser. These cookies will be set from their domains. You can use Ads Settings to manage the Google ads you see and opt out of Ads Personalization. Even if you opt out of Ads Personalization, you may still see ads based on factors such as your general location derived from your IP address, your browser type, and your search terms. You can also manage many companies’ cookies used for online advertising via the consumer choice tools created under self-regulation programs in many countries, such as the US-based aboutads.info choices page or the EU-based Your Online Choices. Google’s ad products may receive or infer information about your location from a variety of sources. For example, we may use the IP address to identify your general location; we may receive precise location from your mobile device; we may infer your location from your search queries; and websites or apps that you use may send information about your location to us. Google uses location information in our ads products to infer demographic information, to improve the relevance of the ads you see, to measure ad performance and to report aggregate statistics to advertisers. To serve ads in services where cookie technology may not be available (for example, in mobile applications), we may use technologies that perform similar functions to cookies. Sometimes Google links the identifier used for advertising on mobile applications to an advertising cookie on the same device in order to coordinate ads across your mobile apps and mobile browser. This can happen, for example, when you see an ad within an app that launches a webpage in your mobile browser. This also helps us improve the reports we give to our advertisers on the effectiveness of their campaigns. To opt out of personalized ads in apps on your mobile device, follow the instructions below. Devices with iOS use Apple’s Advertising Identifier. To learn more about your choices for use of this identifier, visit the Settings app on your device. What determines the ads by Google that I see? Many decisions are made to determine which ad you see.Sometimes the ad you see is based on your current or past location. Your IP address is usually a good indication of your approximate location. So you might see an ad on the homepage of YouTube.com that promotes a forthcoming movie in your country, or a search for ‘pizza’ might return results for pizza places in your town. Sometimes the ad you see is based on the context of a page. If you’re looking at a page of gardening tips, you might see ads for gardening equipment. Sometimes you might also see an ad on the web that’s based on your app activity or activity on Google services; an in-app ad that’s based on your web activity; or an ad based on your activity on another device. Sometimes the ad you see on a page is served by Google but selected by another company. For example, you might have registered with a newspaper website. From a piece information you’ve given the newspaper, it can make decisions about which ads to show you, and it can use Google’s ad serving products to deliver those ads. You may also see ads at Google products and services, including Search, Gmail, and YouTube, based on information, such as your email address, that you provided to advertisers and the advertisers then shared with Google. You may see ads for products you previously viewed. Let’s suppose you visit a website that sells golf clubs, but you don’t buy those clubs on your first visit. The website owner might want to encourage you to return and complete your purchase. Google offers services that let website operators target their ads to people who visited their pages. For this to work, Google either reads a cookie that’s already in your browser or places a cookie in your browser when you visit the golfing site (assuming your browser lets this happen). When you visit another site that works with Google, which may have nothing to do with golfing, you might see an ad for those golf clubs. That’s because your browser sends Google the same cookie. In turn, we may use that cookie to serve you an ad that could encourage you to buy those golf clubs. Your visit to the golfing site may also be used by Google to show you personalized ads when you later search for golf clubs on Google. We do have restrictions on this type of ad. For example, we prohibit advertisers from selecting an audience based on sensitive information, such as health information or religious beliefs. This entry was posted in Uncategorized and tagged advertising, AffilliateMarketing, AutomaticMarketing, grape, inbound marketing, markethive, Roy Revill on August 9, 2016 by Roy Revill. I have long been of the opinion that the lack of transparency on the web is one of its growing and impending problems. It has become clear to observant consumers that it is very easy to create a false and misleading impression on the internet if one has the skill and desire to do so (for financial benefit). It hasn't taken long for advertising to become just as big on the internet as it always has been in more traditonal commerce. While the majority of online advertising purveyors are legitimate businesses or solopreneurs, it has recently been revealed that, in the aggregate, there is a tremendous about of money lost, by advertisers, to advertising schemes and scams. In fact, no less prestigious authority than Advertising Age’s online magazine recently stated that 1 out of 3 advertising dollars spent are siphoned off by fraud. They estimated the total lost was $18.5B. That’s a lot of money. But, like anything else, this subject has already gotten obscured, to most people, by terminology and a lack of understanding of the basics involved. That’s what this article is about. Another commonly used name for ‘online advertising fraud’ is ‘Click Fraud’. Click fraud is especially common in something you've probably at least have heard about…PPC (pay per click) advertising. It occurs when a person, automated script or computer program imitates a legitimate user of a web browser clicking on an ad, for the purpose of generating a charge per click without having actual interest in the target of the ad's link. Click fraud is the subject of some controversy and increasing litigation due to the advertising networks being a key beneficiary of the fraud. In the book, The Search: How Google and its Rivals Rewrote the Rules of Business and Transformed our Culture, media entrepreneur and journalist John Battelle described click fraud as the "decidedly black-hat" practice of publishers illegitimately gaming paid search advertising by employing robots or low-wage workers to repeatedly click on each AdSense ad on their sites, thereby generating money to be paid by the advertiser to the publisher and to Google. PPC advertising is an arrangement in which webmasters (operators of websites), acting as publishers, display clickable links from advertisers in exchange for a charge per click. As this industry evolved, a number of advertising networks developed, which acted as middlemen between these two groups (publishers and advertisers). And of course, any time there’s big money involved, some people succumb to the temptation of scamming consumers. Each time a (believed to be) valid Web user clicks on an ad, the advertiser pays the advertising network, which in turn pays the publisher a share of this money. This revenue-sharing system is seen as an incentive for click fraud. The largest of the advertising networks is Google's AdWords/AdSense and Yahoo! Search Marketing. They actually act in a dual role, since they are also publishers themselves (on their search engines). According to critics, this complex relationship may create a conflict of interest. This is because these companies lose money to undetected click fraud when paying out to the publisher but make more money when collecting fees from the advertiser. Because of the spread between what they collect and pay out, unfettered click fraud would create short-term profits for these companies. Competitors of advertisers: These parties may wish to harm a competitor who advertises in the same market by clicking on their ads. The perpetrators do not profit directly but force the advertiser to pay for irrelevant clicks, thus weakening or eliminating a source of competition. Competitors of publishers: These persons may wish to frame a publisher. It is made to look as if the publisher is clicking on its own ads. The advertising network may then terminate the relationship. Many publishers rely exclusively on revenue from advertising and could be put out of business by such an attack. Other malicious intent: As with vandalism, there are many motives for wishing to cause harm to either an advertiser or a publisher, even by people who have nothing to gain financially. Motives include political and personal vendettas. These cases are often the hardest to deal with, since it is difficult to track down the culprit, and if found, there is little legal action that can be taken against them. Friends of the publisher: Sometimes upon learning a publisher profits from ads being clicked, a supporter of the publisher (like a fan, family member, political party supporter, charity patron or personal friend) will click on the ads to help. This can be considered patronage. However, this can backfire when the publisher (not the friend) is accused of click fraud. Advertising networks may try to stop fraud by all parties but often do not know which clicks are legitimate. Unlike fraud committed by the publisher, it is difficult to know who should pay when past click fraud is found. Publishers resent having to pay refunds for something that is not their fault. However, advertisers are adamant that they should not have to pay for phony clicks. Click fraud can be as simple as one person starting a small Web site, becoming a publisher of ads, and clicking on those ads to generate revenue. Often the number of clicks and their value is so small that the fraud goes undetected. Publishers may claim that small amounts of such clicking is an accident, which is often the case. However, this technique can be scaled up considerably. Those engaged in large-scale fraud will often run scripts which simulate human clicking on ads in Web pages. However, huge numbers of clicks appearing to come from just one, or a small number of computers, or a single geographic area, obviously look highly suspicious to the advertising network and advertisers. Clicks coming from a computer known to be that of a publisher (which can be and usually is tracked) also look suspicious to those watching for click fraud. For that basic reason, a person attempting large-scale fraud from one computer stands a good chance of being caught. They could also be camouflaged from monitors (advertisers and portals) by ensuring that so-called "reverse spiders" are presented with a legitimate page, while human visitors are presented with a page that commits click fraud. The use of 0-size iframes and other techniques involving human visitors may also be combined with the use of incentivized traffic where members of "Paid to Read" (PTR) sites (often in developing countries) are paid small amounts of money to visit a website and/or click on keywords and search results, sometimes hundreds or thousands of times every day. Some owners of PTR sites are members of PPC engines and may send many email ads to users who do search, while sending few ads to those who do not. 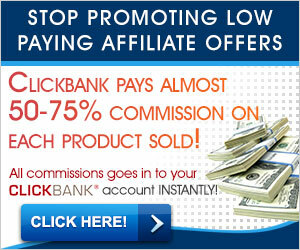 They do this mainly because the charge @ click on search results is often the only source of revenue to the site. This is known as forced searching, a practice that is frowned upon in the Get Paid To industry. Organized crime or wealthy solopreneur scammers can handle this by having many computers with their own Internet connections in different geographic locations. Because the scripts they use often fail to mimic true human behavior, these operators use Trojan code to turn the average person's machines into zombie computers and use sporadic redirects or DNS cache poisoning to turn the oblivious user's actions into actions generating revenue for the scammer. These are pretty smart people, i.e. smart at their craft. Thus not only are they good at covering their trails technically but it is usually very difficult for advertisers, advertising networks, and authorities to pursue cases against networks of people spread around multiple developing countries. A hit inflation attack is a kind of fraudulent method used by some advertisement publishers to earn unjustified revenue on the traffic they drive to the advertisers’ Web sites. It is more sophisticated and harder to detect than a simple inflation attack. This process involves the collaboration of two counterparts, a dishonest publisher, P, and a dishonest Web site, S. Web pages on S contain a script that redirects the customer to P's Web site, and this process is hidden from the customer. So, when user U retrieves a page on S, it would simulate a click or request to a page on P's site. P's site has two kinds of web pages: a manipulated version, and an original version. The manipulated version simulates a click or request to the advertisement, causing P to be credited for the click-through. P selectively determines whether to load the manipulated (and thus fraudulent) script to U's browser by checking if it was from S. This can be done through the Referrer field, which specifies the site from which the link to P was obtained. All requests from S will be loaded with the manipulated script, and thus the automatic and hidden request will be sent. This attack will silently convert every innocent visit to S to a click on the advertisement on P's page. Even worse, P can be in collaboration with several dishonest Web sites, each of which can be in collaboration with several dishonest publishers. If the advertisement commissioner visits the Web site of P, the non-fraudulent page will be displayed, and thus P cannot be accused of being fraudulent. Without a reason for suspecting that such collaboration exists, the advertisement commissioner has to inspect all the Internet sites to detect such attacks, which is infeasible. Another proposed method for detection of this type of fraud is through use of site parameters specified by the respective advertising association. Online advertising fraud isn't anything that's going to be stamped out overnight. The internet is a jungle where the fight for survival is constant. Perhaps the good thing to recognize here is that online advertising fraud has only recently being recognized as a serious problem. That being the case, it might even spawn a new, entrepreneurial, industry of ad-revenue protection. This entry was posted in Uncategorized and tagged advertising, fraud on April 22, 2016 by Roy Revill. How Inbound Marketing and Social Media compliment each other. What makes people addicted to social media? Social interaction has been a human trait for as long as humans have been around. However, relatively speaking, social media on the internet is only a recent phenomenon. Is it here to stay? There are many indications to suggest it is. Only recently, Facebook announced they had one billion users on their site in just one day! There are so many aspects that attract people to Social Media. …keeping in touch with friends and family; in some cases finding long lost friends and relatives. …the ability to find new friends and associates interested in the same subject as themselves. …attracting new customers to their business and keeping them informed of special offers, etc. …keeping club members informed of events. …carrying out research based upon answers to posts, etc. …but why has Social Media become so addictive? For example, why don't people stick to traditional methods such as the telephone to tell a family member about an event they are going to, or have been to? Is it because they can tell lots of people at the same time with just one post? …or is it because they want to "show off" that they have been to a particular restaurant? Maybe it is because they want to see the reaction from other people. There is some research to suggest that the majority of people are basically insecure and many believe using Social Media as a means of communication and conversation is possibly less stressful than face to face interaction. The kind of communication on Social Media is usually asynchronous, meaning the original comment and its response happen at different times. Therefore, a post is not always likely to receive an immediate response; sometimes it could be days, weeks or even months later (if at all). Have you ever made a post on FB and then been disappointed that no one took the time and trouble to leave a comment? Could the need for interaction be at least one of the hooks of Social Media? Of course it is. Everyone is expecting others to join in their conversation. If not expecting, they are at least hoping. The "hook" is such that many people will log in "just one more time before they go to bed" to see if they have had a response. It gets even more addictive. With Social Media on mobile devices being the current trend (a trend set to last a long time), many people are almost glued to their devices. It is no longer a case of waiting until they get home to switch on their pc. They are now in a position to see responses as soon as they occur. This creates even more "panic" amongst some users because every bleep of their device could mean someone is responding to their post or a conversation they are involved in. Is it now a case of them wanting to be the first to know what is happening so they can then send a further response? So what does all this mean for MarketHive? Markethive.com is a Social Communication Platform designed for the Entrepreneur to compete with the Multi-Million dollar corporations in their quest to gain their fair share of business. I expect that most people who become MarketHive members will be business minded. However, there will be some members who do not have a business. There are many features in the MarketHive system for everyone, not just business owners. …and of course for MarketHive itself when optional services are offered. …but as already discussed elsewhere, just having members is not enough. Engaging the members will be necessary. They need to be 'hooked' on using MarketHive. One of those hooks will surely be the Social Media sharing capabilities of the MarketHive system. This entry was posted in Uncategorized and tagged advertising, inbound, markethive, marketing on April 3, 2016 by Roy Revill. Revenue Model Mean to the Internet and Technology? The major drawback of an entirely ad-supported revenue model is the inherent lack of diversification. Businesses generally prefer multiple revenue streams when possible. In a down economy, advertisers might back off their investments, which can more negatively affect a medium that has no subscription revenue. Plus, print publications, and even some websites, have high costs. Even a small subscription rate can help cover some of these costs. Local newspapers charging, say, 35 cents per issue can’t use that to cover all production costs, but the fees do help offset costs and allow revenue to build. On Wednesday, Mr. Zuckerberg’s social-networking company, Facebook, reported another quarter of soaring revenue. The company said sales in the fourth quarter rose 52 percent from a year ago, to $5.84 billion, while profit increased to $1.56 billion, more than doubling from $701 million a year ago. For the full year, the company reported $3.69 billion in profit on $17.93 billion in revenue, an increase of 44 percent from 2014. The numbers far surpassed Wall Street’s fourth-quarter expectations of $1.2 billion in profit on $5.37 billion in revenue. 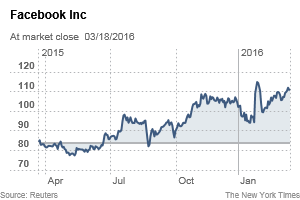 Investors welcomed the performance by pushing up Facebook’s stock more than 12 percent in after-hours trading. The results were largely a result of Facebook’s enormous success in selling advertising on mobile devices, a business that the company was not even in just a few years ago. Mobile ads made up 80 percent of the company’s total ad business in the fourth quarter, compared with 23 percent in the same quarter of 2012. “We have a Super Bowl on mobile in the U.S. every single day,” Sheryl Sandberg, chief operating officer of Facebook, said in an interview. The results offer a bright spot in a tumultuous climate for many American technology stocks. Shares of Twitter, Facebook’s most visible social networking competitor in the United States, have tumbled more than 55 percent during the last year. Yelp, the local-review service, is down about 60 percent. LinkedIn, the professional social networking service, is off more than 15 percent. Facebook is a much larger company than many of its peers, yet it is able to keep its growth rate high. The company has notched double-digit jumps in ad revenue and in the expansion of its user base. Facebook now has 1.59 billion monthly visitors, up 14 percent from a year ago. About 1.44 billion of those people visit the site on a mobile device; 1.04 billion visit Facebook every day. That growth engine has given Facebook lots of room to play in different areas — like virtual reality, messaging and even building drones capable of delivering Internet service to far-flung places around the world — that seem to have little to do with Facebook’s core business of advertising. Facebook is spending billions of dollars developing those projects, and Mr. Zuckerberg has repeatedly said the company has no plans to make money on them in the near term. In an earnings call with investors, David Wehner, Facebook’s chief financial officer, said the company projected that expenses would increase roughly 30 to 40 percent over the course of 2016 compared with last year. One example of the spending is on Oculus, Facebook’s $2 billion bet on bringing virtual reality to the mainstream. The unit will begin selling its first headsets to consumers in March. Facebook has said it plans to sell the hardware, called the Rift, at a loss to help the technology catch on with a large audience. Other analysts said they also saw potential for profit in the hundreds of millions of people who regularly use Facebook Messenger and WhatsApp, a messaging service also owned by Facebook. They are also bullish on the potential for Instagram, the photo-sharing service that has more than 400 million regular monthly users, to become a significant source of revenue in the future. The company does not disclose what portion of revenue Instagram accounts for in Facebook’s overall sales. Ms. Sandberg said 98 of the top 100 advertisers on Facebook also advertised on Instagram in the last quarter. As for Mr. Zuckerberg, he spent a portion of the investor call on Wednesday talking about his new role as a father to his daughter, Max. This entry was posted in Advertising, Internet Marketing and tagged advertising, markethive, model, revenue, Stephen Hodgkiss on March 20, 2016 by Roy Revill.